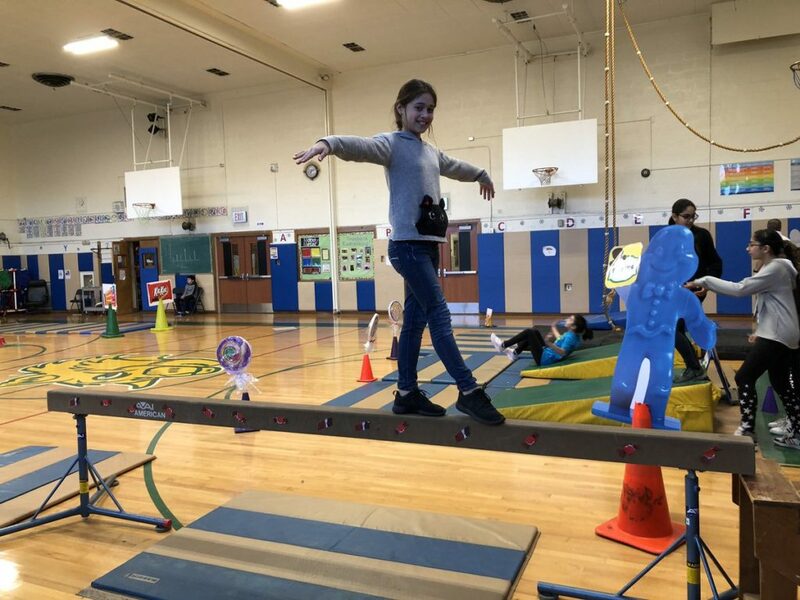 Valley Stream Union Free School District Thirteen’s Willow Road Elementary School students recently participated in a balance beam activity during their physical education class. Students practiced their balancing skills as they walked across the beam, developed the confidence to incorporate leg lifts and followed the procedures to safely dismount. After the routine, students scored each other through peer assessment—a process that helps expose students to a broad range of perspectives, encourage collaboration and further develop assessment skills. The District will continue to provide students opportunities to be active during the school day while developing important life skills.